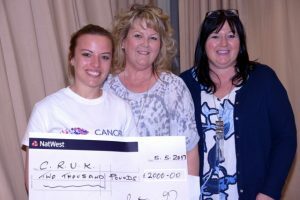 So far we have donated £84,899 to Cancer Research UK. 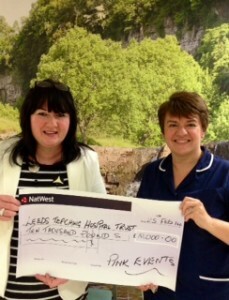 To date we have donated £143,231 (in money and equipment) to The Breast Care Unit at St. James’ Hospital, Leeds. 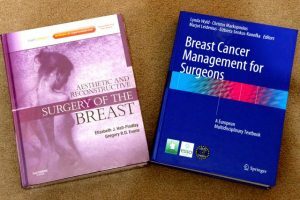 Pink Events recently purchased two Breast Medical Textbooks that are immensely useful in training the junior members of the Breast Care Team, learning new techniques and understanding the steps before an operation. 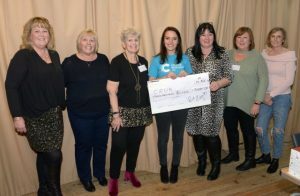 This donation ammounted to £346. 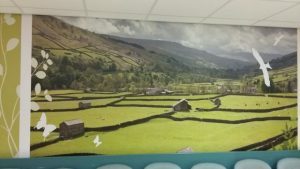 Pink Events visited the Breast Care unit at St. James’s to view the ‘Quiet Rooms’ now that the pictures have been installed. 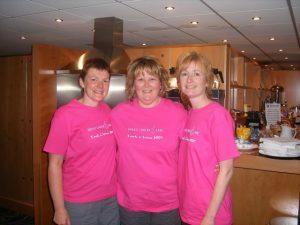 Joining Pink Events were the family of Janet Rhodes, whose legacy donation paid for the pictures. 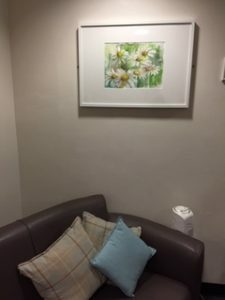 This was the first opportunity they had had to view the pictures in place and had the opportunity to talk with the staff on the unit. 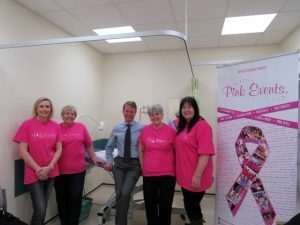 At the same time Pink Events also used £560 to provide the unit with a range of ‘Softies’ in various sizes. These are inserted into a bra for those patients post-mastectomy. 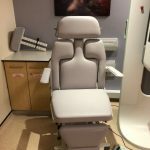 Pink Events use £40,000 to provde the Breast Unit at St. James’s Hospital with an Arkus chair, lateral arm and Smartcurve Breast Stabilising system. 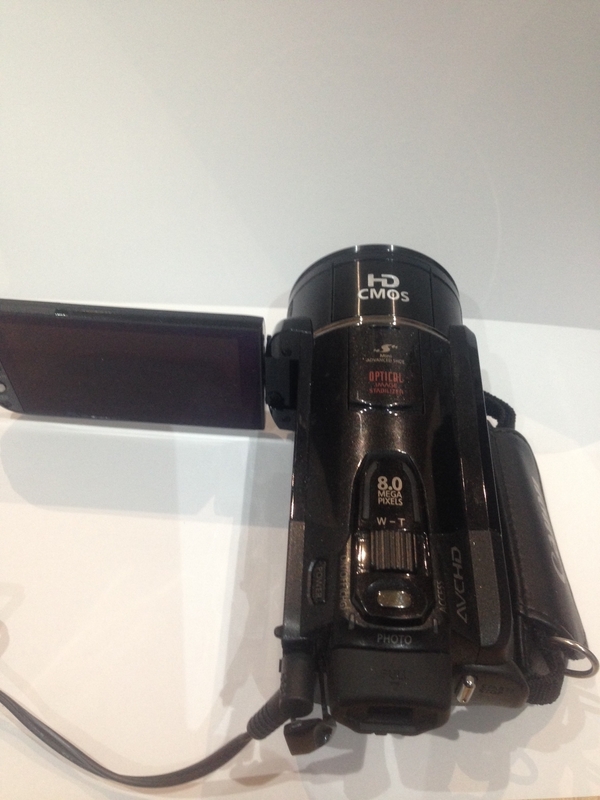 They also recieved an upgrade to the Intel 2D TM software. 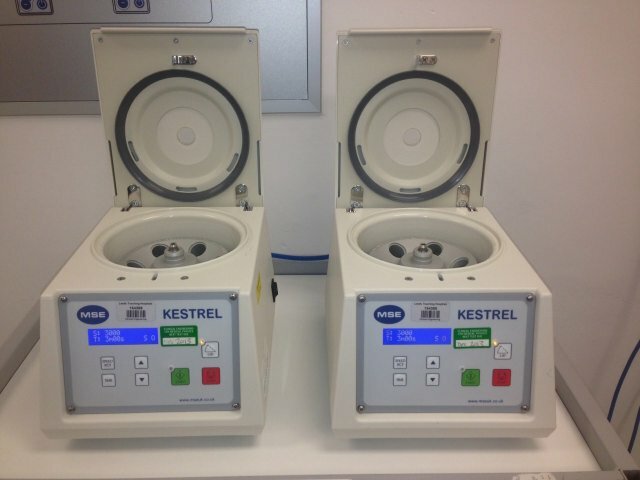 All of these are to make it more comfortable for patients when undergoing a biopsy. 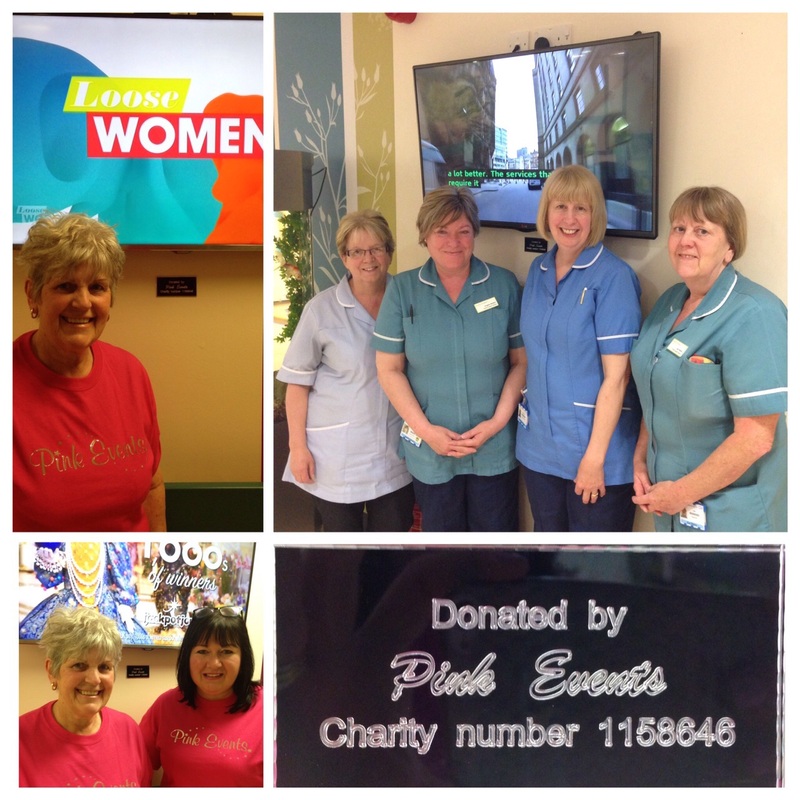 With a legacy left to Pink Events by Janet Rhodes of Cookridge ,we recently purchased a range of items for the Breast Care Unit. 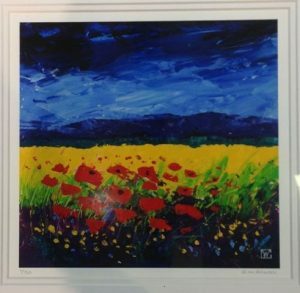 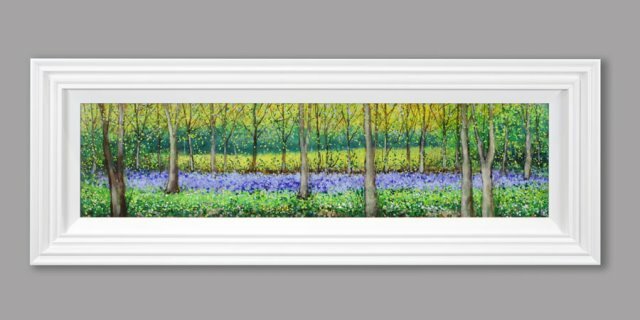 These included several framed pictures which will adorn the walls of the ‘Quiet Rooms’, in which patients are often given life changing news. 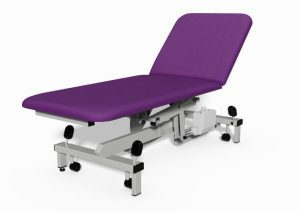 To further soften the rooms appearance a range of cushions have been provided to be placed on the sofas and chairs. 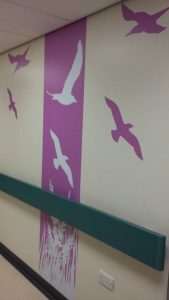 These small changes alter the often clinical appearance and provide an improved facility for patient comfort and care. 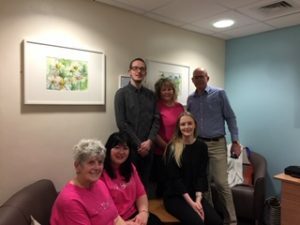 Pink Events also purchasedsome books, these will allow patients and staff to assist children to understand and better cope with the adult’s diagnosis. 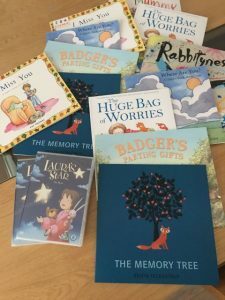 The books have been written in a language that children can deal with and helps to guide them through the journey. 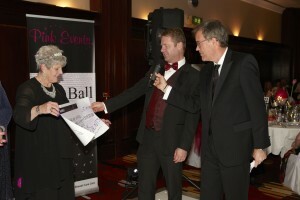 £210 allowed Pink Events to purchase a range of ‘Softies’ in various sizes. 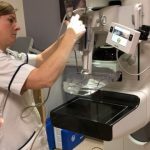 These are inserted into a bra for those patients post-mastectomy. 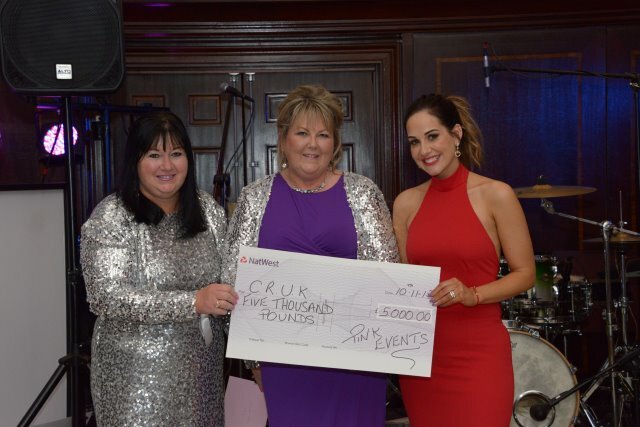 Pink Events Present Sarah Mattinson of Cancer Research UK with a cheque for £3,000. 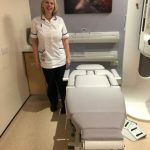 £875 was used to allow Pink Events to purchase additional electronically adjustable examination tables to be used in the Breast Care Ultrasound department at the Leeds Breast Clinic at St James’s Hospital, Leeds. 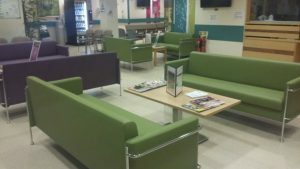 This brings the total number of these couches provided up to 13. 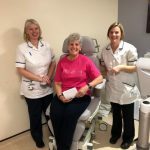 £3500 was used to allow Pink Events to purchase 4 additional electronically adjustable examination tables to be used in the outpatients department at the Leeds Breast Clinic at St James’s Hospital, Leeds’. 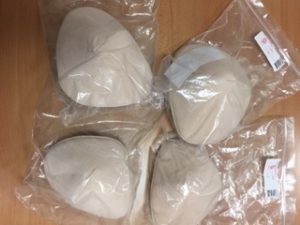 This brings the total number up to 12. 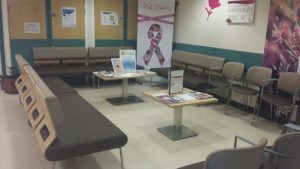 Pink Events Provide 3 TV’s to the Leeds Breast Clinic for Patient Waiting Area. Pink Events spend £1100 on three televisions for the Breast Clinic waiting area. 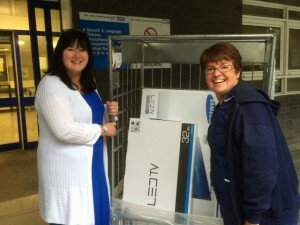 The TV’s are now installed and being enjoyed by waiting patients. 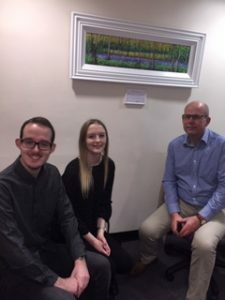 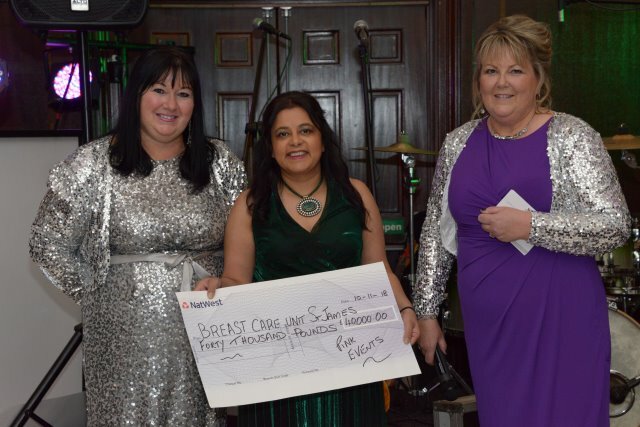 Pink Events Donate £5,000 to the Leeds Breast Clinic for Family History Software. 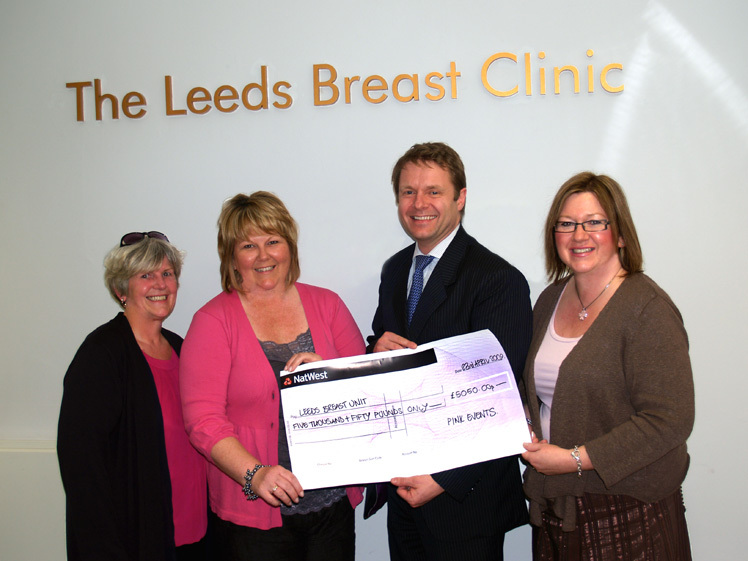 Leeds Breast Clinic were presented with £5,000 to enable them to purchase the Family History Software. 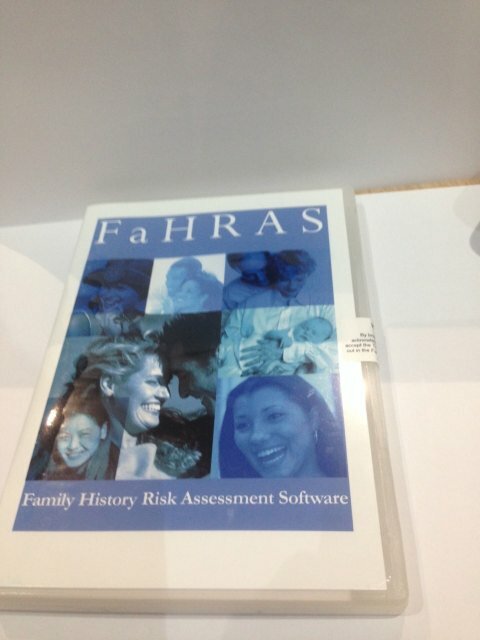 This will enable them to extend their knowledge and look for significant risks that develop in some families. This will then be used to provide advice on screening and other strategies. Pink Events Donate £10,000 to the Leeds Breast Clinic to improve patient comfort. 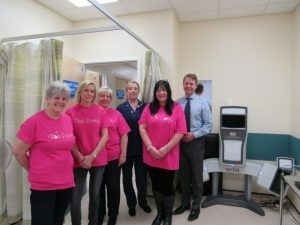 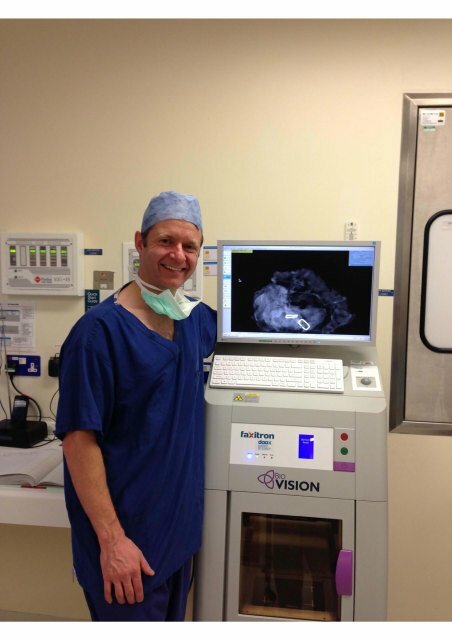 Pink Events Donate £8,000 to the Leeds Breast Clinic for purchase of Luxtec Ultralite Headlight system. Following the Pink Ball 2012 where £12,300 was raised we were delighted to present the Leeds Breast Clinic with £8,000 to fund the purchase the requested operative head lighting system outlined by Philip Turton at the Ball. 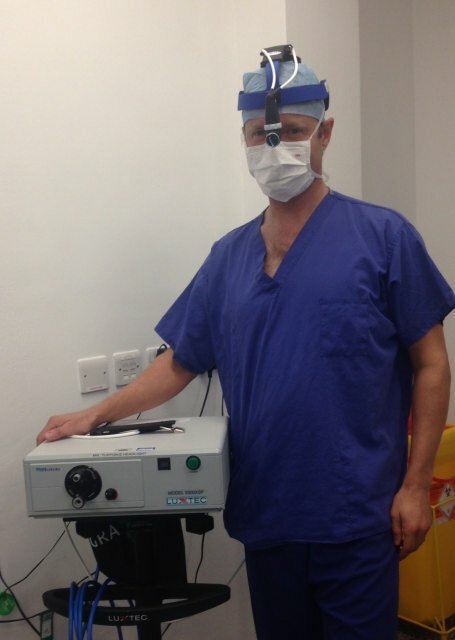 We look forward to hearing from Mr. Turton that the equipment has been delivered and is in use. 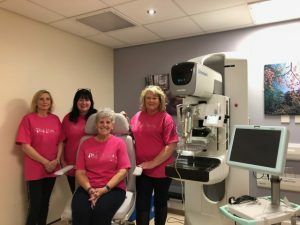 Pink Events Donate £22,000 towards purchase of specialist x-ray equipment for the Leeds Breast Clinic. 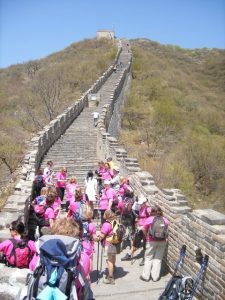 In 2007 following her successful treatment for breast cancer Kimberley and two friends, who had also completed treatment, decided to walk the Great Wall of China to raise money for Breast Cancer Care. 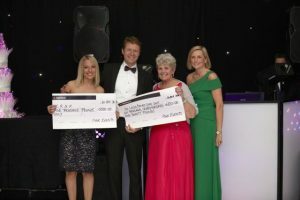 Kimberley raised £8000.